We are a young couple living in the Roaring Fork Valley, & fully subscribe to the ‘work hard, play harder’ lifestyle. We love nothing more than discovering the country on climbing road-trips to locales like Red Rocks, Joshua Tree & Bishop. Our introduction to ‘Van Life’ came after we grew tired of the hassle of car camping. 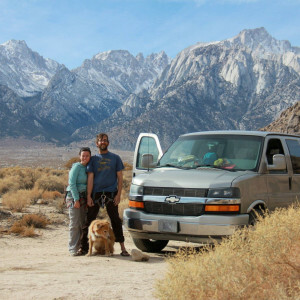 Our first van was a Chevy Explorer conversion, & it allowed us to keep all our gear in one place, hit the road on a Friday with nothing more than our weekend clothes & climbing or biking gear, & get as much time being weekend warriors as possible. We soon pined for the standing room & kitchen associated with a taller van, & set our sights on a Sprinter Van. We now have ‘Tootsie’ the Dodge Sprinter Van; a 2006 Sportsmobile conversion. After doing a lot of work to the interior, the van now suits our style perfectly. There’s nothing like pulling into camp, cracking a beer & taking in the view. Home really is where you park it & we look forward to sharing it with you. It was a great first camping trip for our family of 4 (2 and 4 year old children). We went to Chapman so not too far and the van had everything we needed except food and drinks. Even had a nice size coffee press for morning coffee! Most important. The heat and CO detector worked great. Kimbo and Jason were great hosts and easy to communicate with. Beautiful van! Wow, this Sprinter was incredible. If you need a sturdy Sprinter to get you where are going and a great night's sleep this is the van to rent. All the amenities, a burner and fridge and batteries that lasted forever. Plenty of fresh water. Custom van at its finest. My son and I rented "Blue" for a 4 day mountain bike trip to Western Colorado. The van had everything we needed and more. Jason and Kimbo were super responsive and accommodating for pick up and drop off. Definitely renting it again soon. Great experience! Slept 3 easily. Very clean and comfortable. Kimbo and Jason were fantastic! We had a wonderful time touring Utah in the van. Kimbo and Jason are very helpful and communicative. We very much recommend this van for a couple with young children. Easily fits 4 people and has everything you need! The TV with DVD player saved our drive with kiddos. Jason and Kimbo are easy to work with and accomodating throughout the process. We took Tootsie through 5 states and 3,000 miles with a 3 year old and she did great! We loved experiencing #vanlife without taking the plunge of purchasing one. We had a great time on our trip with Tootsie. Jason was so easy to work with and everything went very smoothly. Would recommend to y friends and family. Great van, meticulously maintained and spotlessly clean. Stocked with virtually everything you need to go camping. Just bring your clothes and food. Nice people. 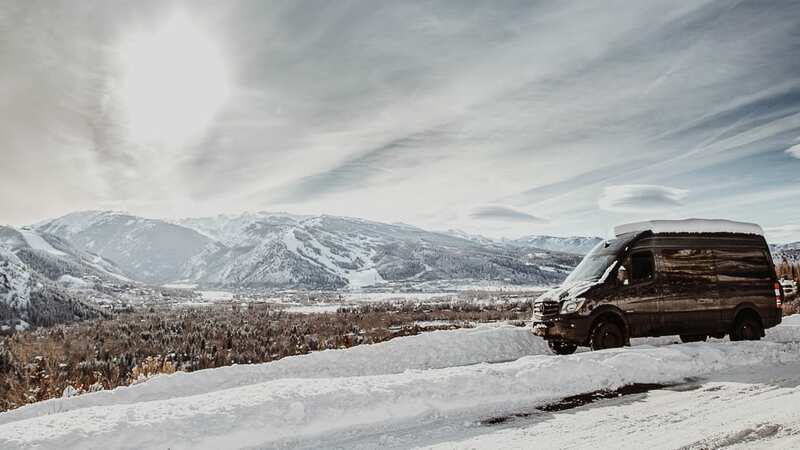 A no-brainer if you are looking to try a sprinter van. I loved camping in Tootsie! As a solo camper, I felt safe, secure and very comfortable. If you are tired of tent camping or thinking about buying an RV, give Tootsie a try - you won't be disappointed. Wow this sprinter was awesome! Jason & Kimbo have thought of everything with all the details that come with this rv. We enjoyed renting this vehicle and would definitely rent from them again!